The nucleotide sequences of the alleles of the DRB3 gene of the major histocompatibility complex (class II) of saiga antelope are described. A high degree of heterozygosity is found. The results of the analysis are consistent with the hypothesis of overdominance of heterozygotes. Phylogenetic relations of the DRB3 gene alleles of the saiga antelope and other Bovidae species do not correspond to the systematic position of Saiga tatarica. 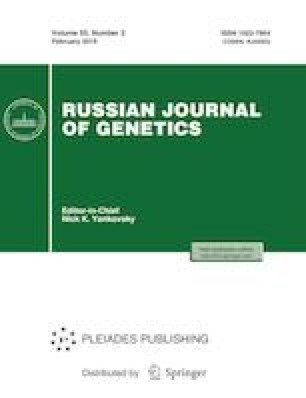 It is assumed that the polymorphism of the DRB3 gene alleles of saiga is primarily due to the variety of extracellular pathogens (bacteria, protozoa, helminths, and others) affecting its population during the evolutionary history of the species. We thank A.V. Davydov for assistance in organizing the sample collection; N.V. Koroban, an expert in the products of Roche Diagnostics Russia; and A.V. Kudryavtseva, head of the Center of Collective Use “Genome” of the Institute of Molecular Biology (Russian Academy of Sciences), for their help in performing the sequencing, as well as G.A. Bazykin, head of the sector of molecular evolution of Institute for Information Transmission Problems (Russian Academy of Sciences), for consultations on data processing. This work was supported by the Russian Foundation for Basic Research, project no. 17-04-01351.